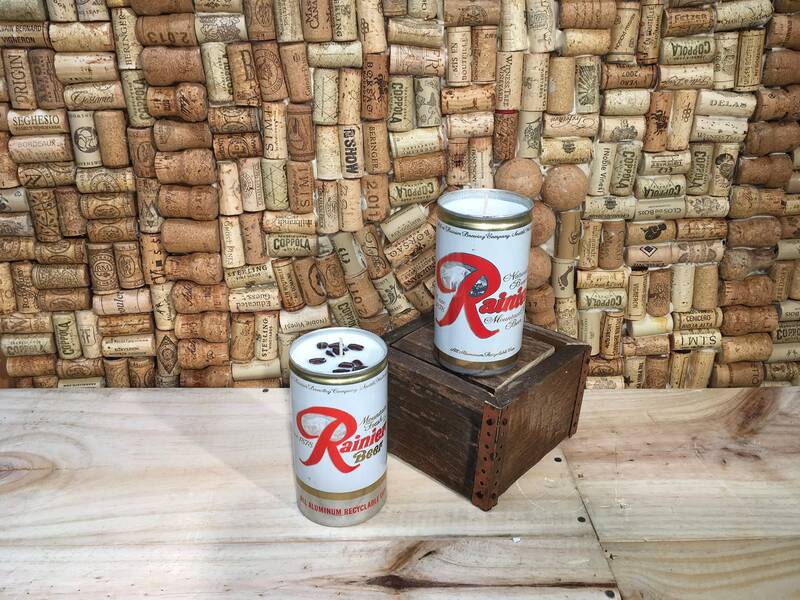 The Walt Longmire special Vintage Rainier can w a soy candle, FREE SHIPPING! 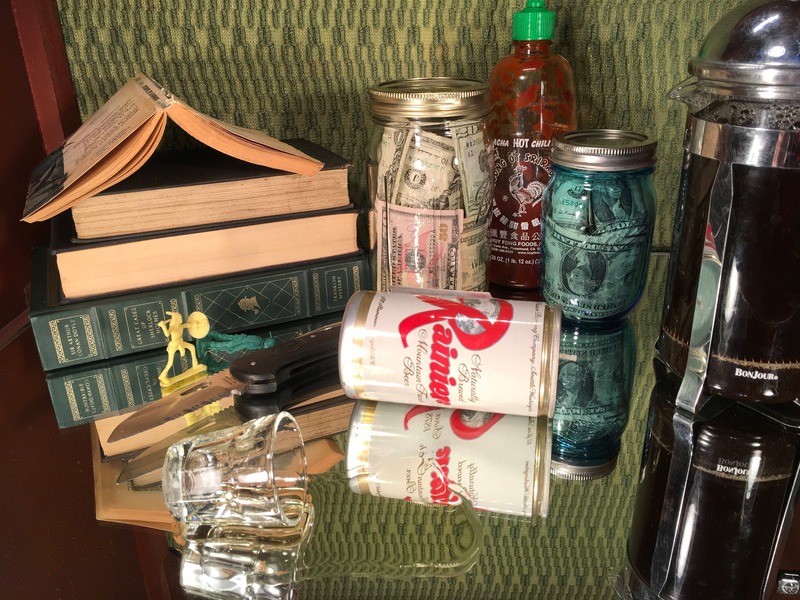 "It is a wonderful night at the Red Pony Inn and continual soirée. 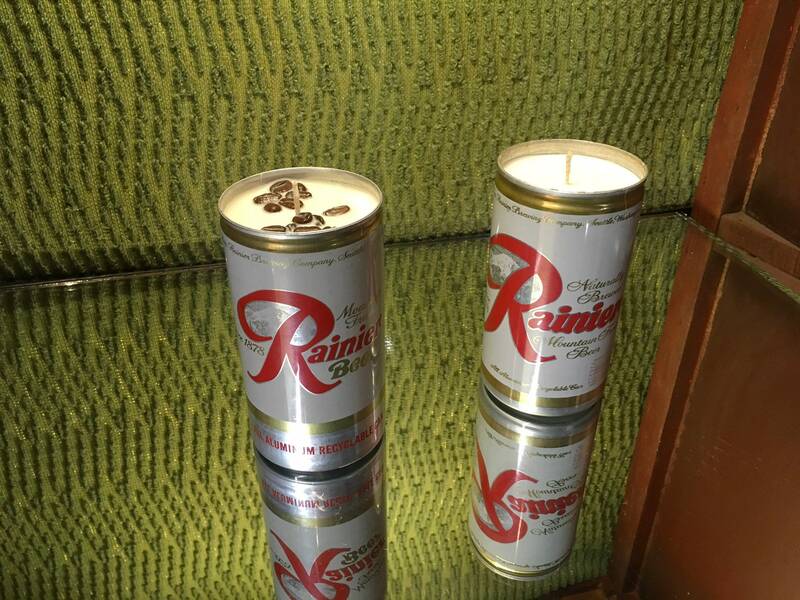 Our special tonight is one vintage Rainier beer can filled with a handmade soy candle." The first two photos are stock photos. There is only one can available at this time. Ships free! 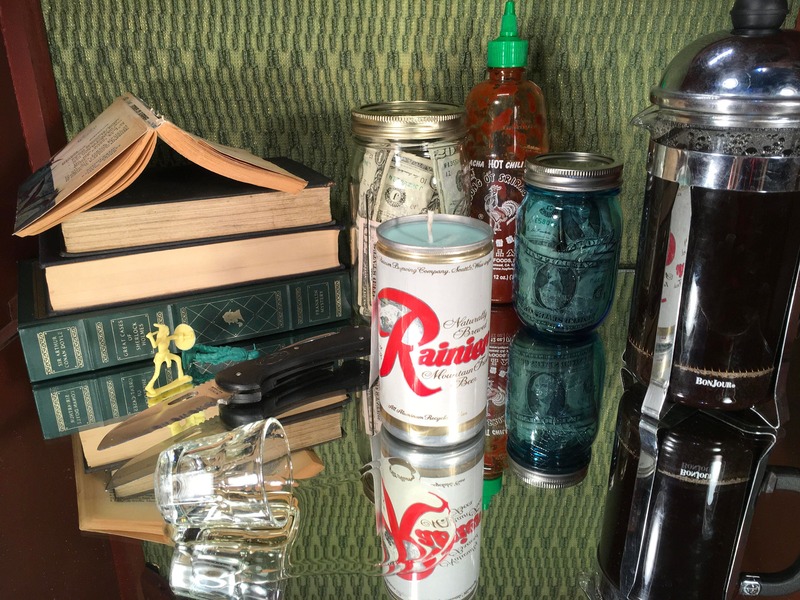 The can on the left is filled with our Hazelnut Coffee scent. 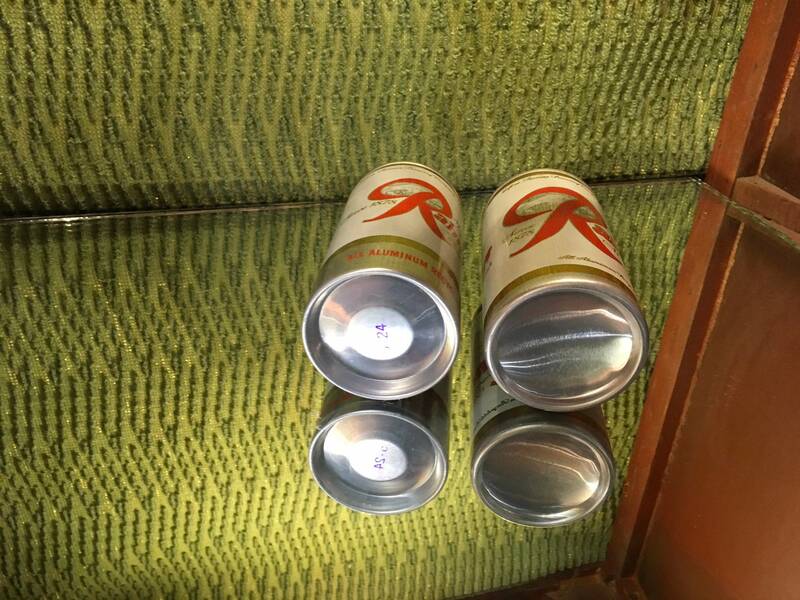 It also has coffee beans on the top of the can. Walt would definitely approve of this scent... The top note is strong coffee and the middle note is toasted hazelnuts, followed by base notes of vanilla and butter. Mmmmm. 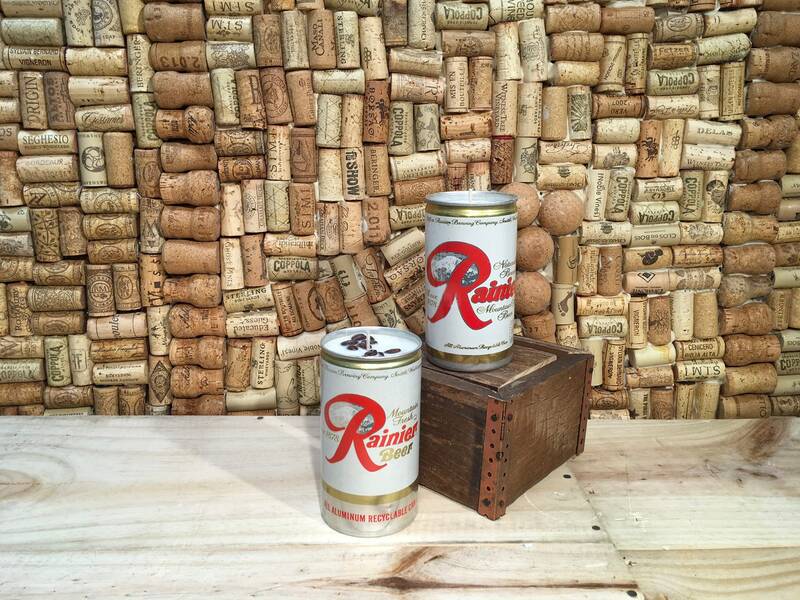 Perfect for any cowboy. We use premium 100% natural soy wax. 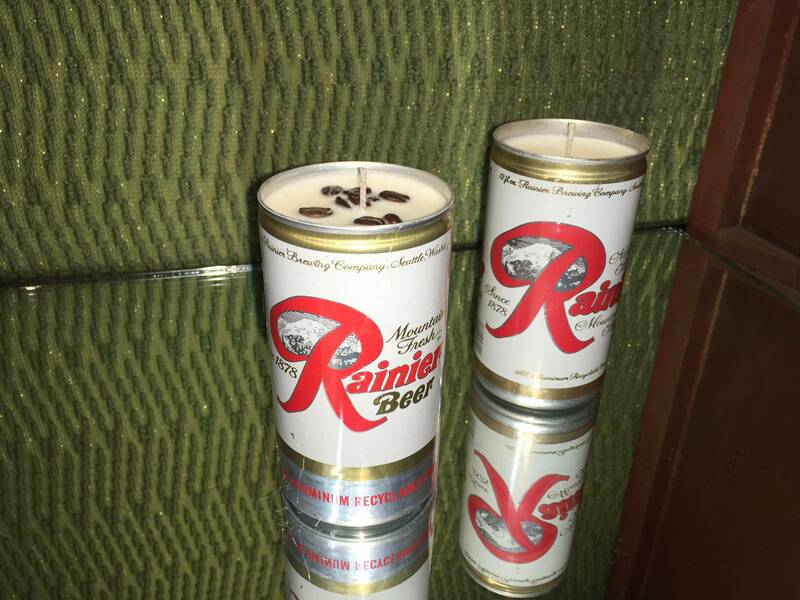 Expect more than 35 hours of room filling scent from this bad boy. 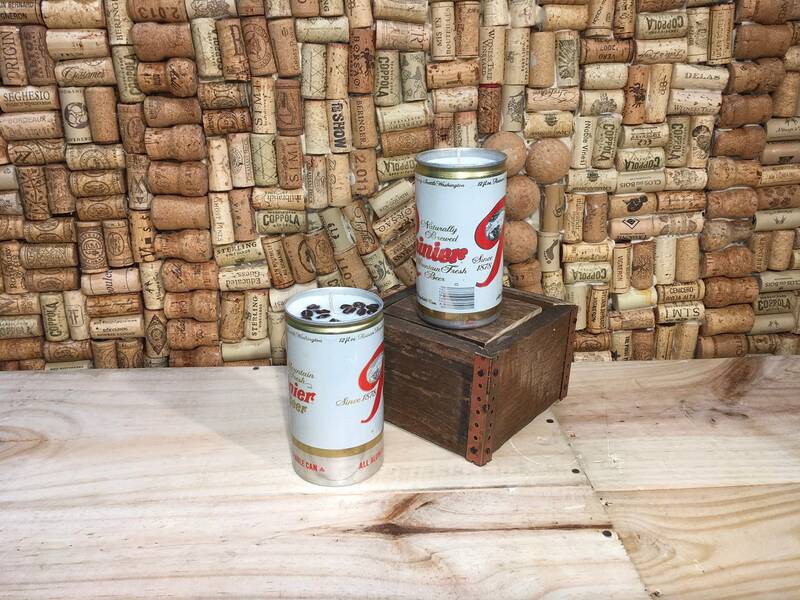 This is a can with character and vintage charm as can be seen in the photos. This features a self trimming cotton wick. We ship on Monday & Tuesday. If you would like to pay for expedited shipping please message us first. Thanks!